Origin: Lower riparian tree from California and Arizona into Valleys of southern Utah and Colorado and west Texas to 6.500 feet elevation. 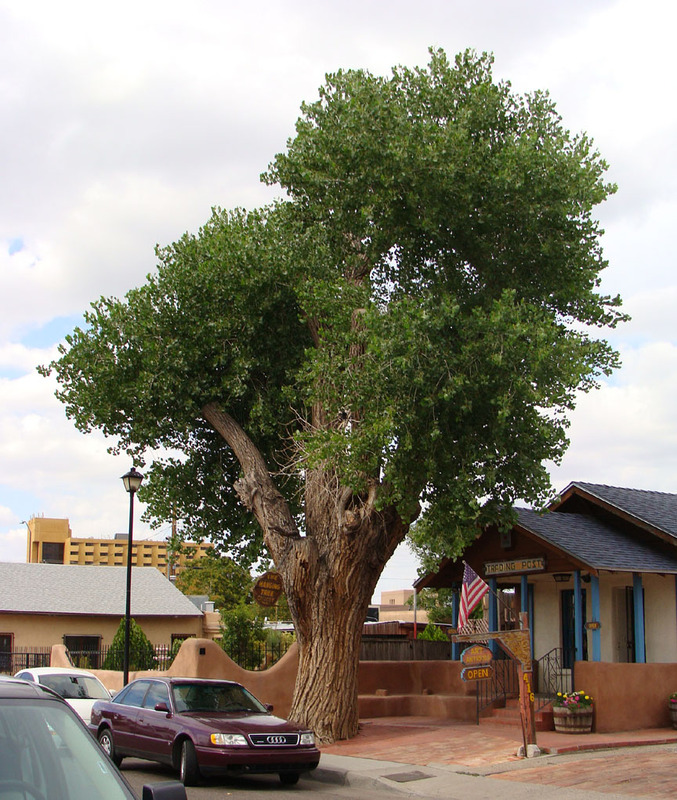 Fremont cottonwood was once the icon of riparian systems throughout the southwestern United States. It's time though might be passing with the contemporary invasion of these areas by exotic salt cedar and Russian olive. Landscape Use: Background, fast screen, fall color, mesic shade tree, fall color, riparian restoration. Form & Character: Deciduous tree, strong, massive, upright, restful. Growth Habit: Fast, upright especially when young to more spreading with age. Can reach 110 feet in height. Bark is smooth on the trunk, twigs, and branches of young trees, but trunk bark becomes deeply furrowed at maturity. Foliage/Texture: Foliage thin and light green, triangular, cordate to deltoid, 2 to 4 inches long, serrate margins, thin petioles creates a shimmer in slightest wind; medium texture. Flowers & Fruits: Dioecious, catkin-like ranging from 1 1/4 inches for the staminate male flowers to 4 to 5 inches for the pistillate female flowers. Flowers generally ornamentally insignificant occurring in early spring before leaf emergence; fruits on a peduncle are a cap, green when immature turning to brown and then discharging copious amounts of "cotton". 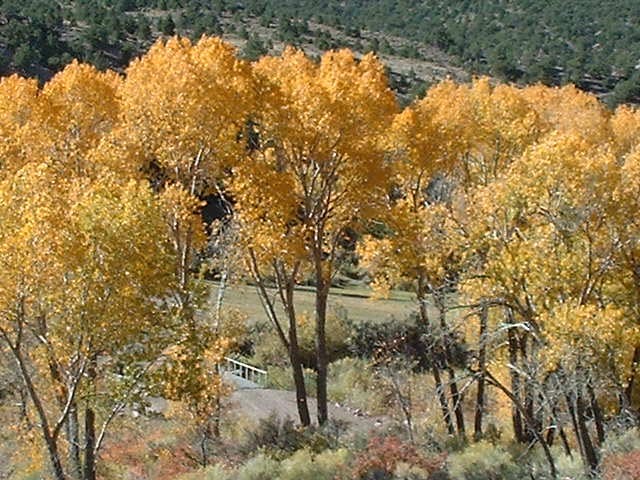 Seasonal Color: Bright yellow to golden yellow foliar color in fall sometimes suppressed in the lower desert by warm fall and early winter temperatures. Temperature: Tolerant of Phoenix heat, especially if there's a little water around (it is a riparian tree after all). Pruning: Easily manipulated and pruned in any fashion. Prune according to use. Often and traditionally this tree is annually pollarded. 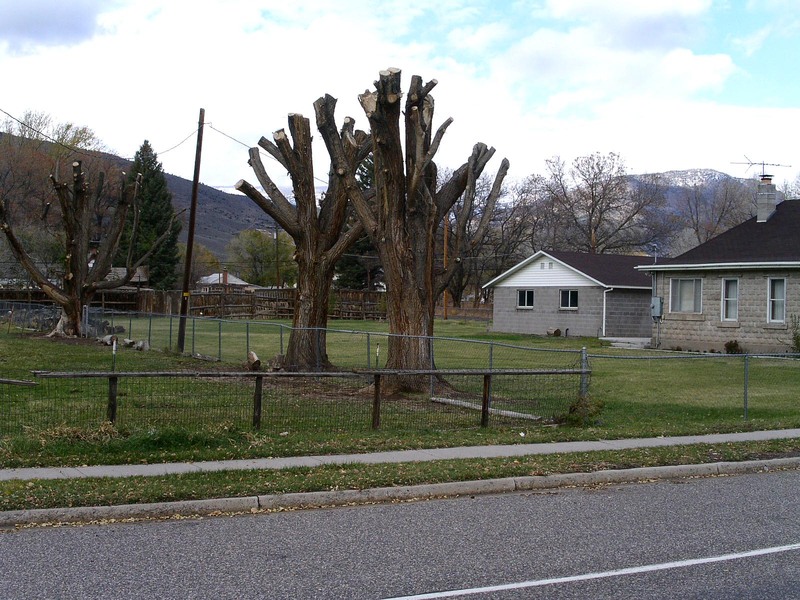 Additional comments: Western poplar is a fast-growing, eventually massive tree that has the potential to root sucker profusely. It will typically develop heartrot wood decay when old that will generally result in a long period of decline, much pruning and crown rejuvenation, and eventually death. 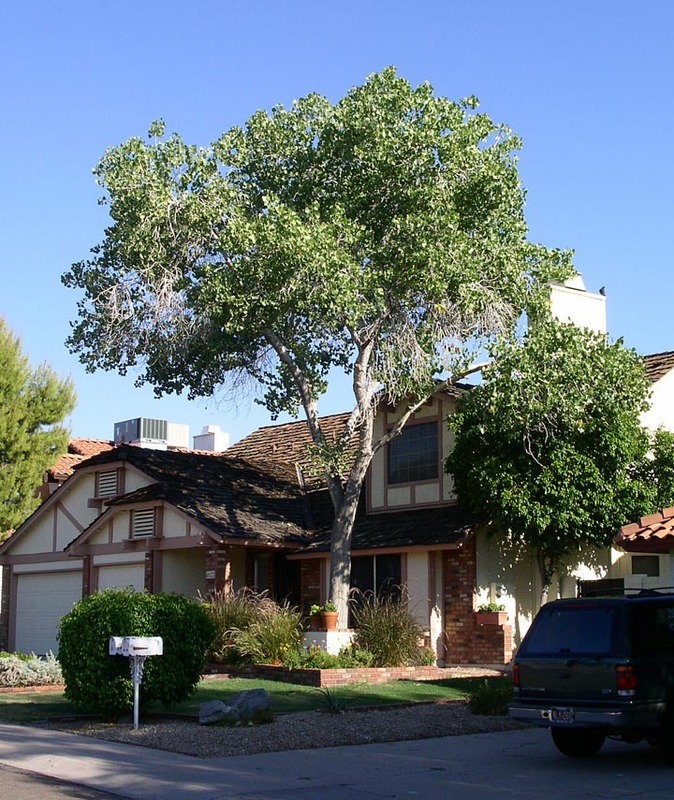 Western poplar is difficult to grow in smaller residential settings because of its massive size when mature. Also, it has an invasive, extensive root system that can wreak havoc around underground urban features such as septic and sewer lines. 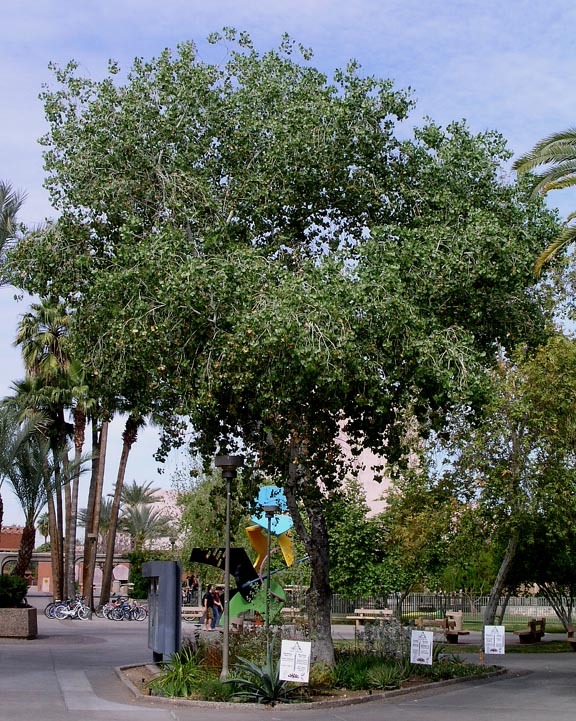 Despite these difficulties, western poplar is a good tree for large urban water features like around the perimeter of urban lakes and riparian areas. Research suggests popular has significant phytoremediation properties for soil-residual carcinogenic solvents like trichloroethylene (TCE). P. fremontii var. Wislizenii is native to south Utah, New Mexico, south Colorado into north Mexico and has a broader canopy when mature.